Hotel Kajima no Mori is 2-story hotel matched with nature of Karuizawa. 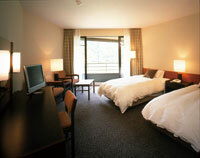 The hotel is surrounded by pine forest and lawn, and birds and squirrels are frequently visiting in 33000 sq. m. garden. 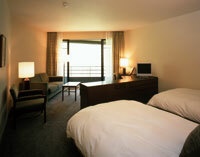 Five types of rooms are available to suit the needs. Enjoy the excellent French cuisine at the restaurant with the scenery from wide open window. 5 minutes by taxi from Karuizawa Station 15km from Usui Karuizawa Interchange on Joshietsu Expressway.